The Xiaomi Mi 9 is also tipped to come equipped with 32W fast charging for the 3,500mAh battery, but there is no word on wireless charging yet. 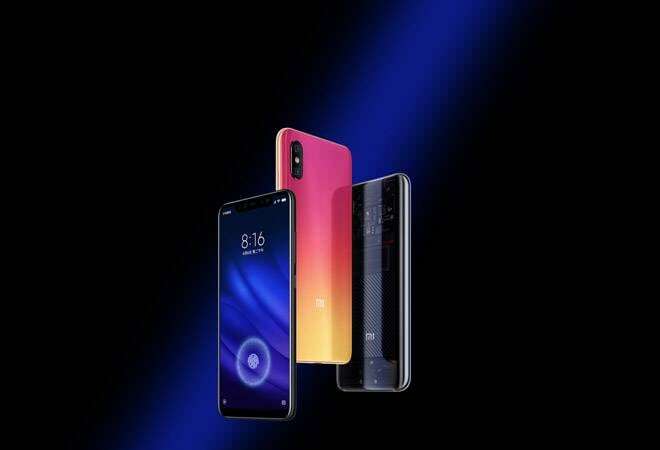 The specifications of the Xiaomi Mi 9 have been leaked in a post on the Chinese micro-blogging website Weibo telling all there is to know about the next flagship from the Chinese tech major. The leaks also confirm some of the much-speculated features of the device. The post mentions that the Xiaomi Mi 9 will sport a triple lens setup with the primary camera featuring a 48MP sensor, which will be Sony's IMX586 sensor. Of the other two cameras at the back, the leaks suggest that one will be a 12MP shooter and remaining one will be a 3D TOF camera. The selfie camera up front will be a 24MP snapper with Sony IMX576 sensor housed in a minimal notch, the leaks suggest. For camera arrangement, the Xiaomi MI 8 will reportedly emulate Huawei P20 Pro, with a long island carrying the primary and secondary sensor, the 3D TOF sensor under that in a smaller section, and the LED flash light below it. On the inside, as expected, the Xiaomi Mi 9 will be powered by Qualcomm Snapdragon 855 chipset, which comes with the X24 LTE modem. It is the most powerful LTE modem ever made by the chipset manufacturer. The memory options will start at 6GB of RAM and 128GB of internal storage. Going by the leaks, the screen is likely to a 6.4-inch AMOLED panel with Full HD+ resolution and an aspect ratio of 19:9. The fingerprint sensor has been placed under the display, similar to what has been seen on the Mi 8 Explorer Edition. As per the leaks, Xiaomi might price the Mi 9 arond CNY 2,999, which is close to $436 or 383 euros. The device might make an appearance at the Mobile World Congress 2018 in February. While this spec list is only a leak and should be treated accordingly, it features specifications which will most likely find a place in the finished device.